Before retiring and moving onto the boat we decided that in keeping with our desire to stay native 12 volts as much as possible we needed to add a diesel generator. 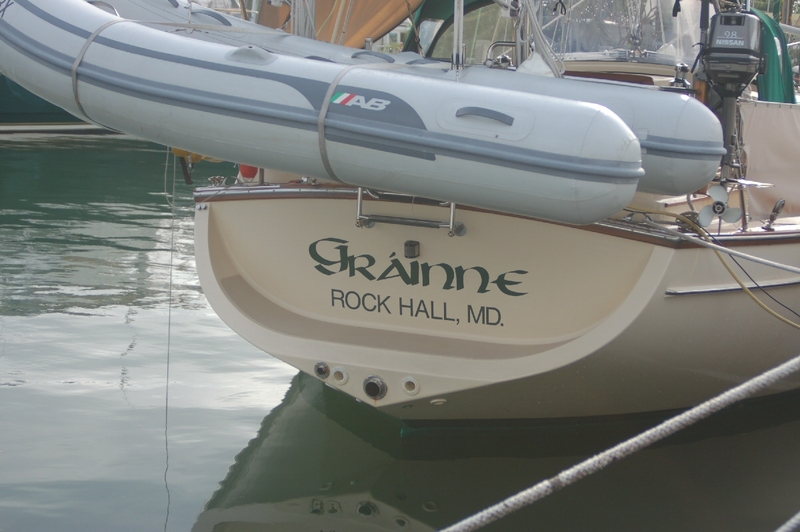 I had spoken with Ample Power before regarding the 12volt 150 amp “Genie” that they sell and made arrangements to purchase the display unit from them after the 2002 Annapolis Boat Show. I got a substantial discount on the unit and did not have to pay for packing or shipping which also saved some money. 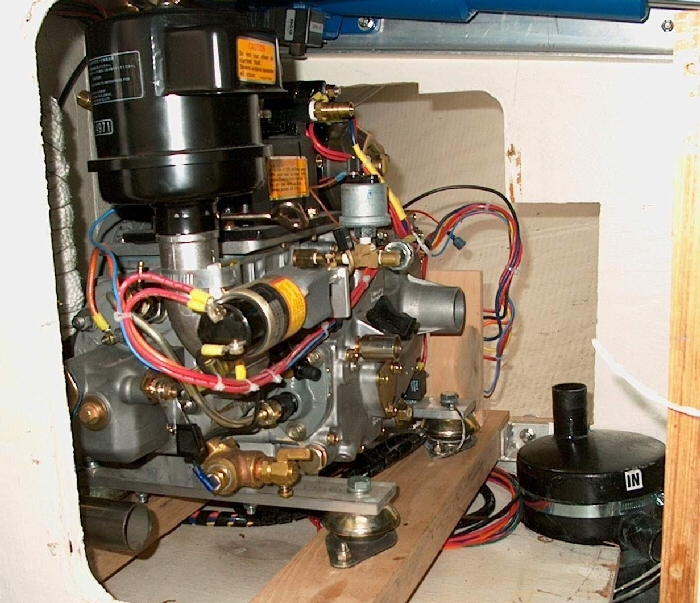 The generator was installed in the space under the helm after removing the water heater. The area was perfect for the installation as there is side access from both lazarettes and easy access to the boat electrical system, raw water plumbing, and fuel feed. 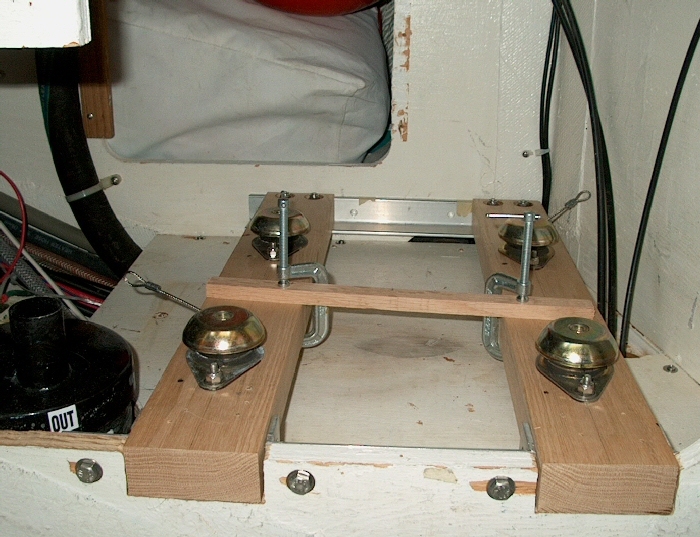 To make servicing easier we fabricated a motor mount base that would slide out into the starboard lazarette. View of the Genie from the port lazarette. The new water lift muffler is visible in the lower right of this photo. The wet lift exhaust system includes an anti siphon valve in the raw water loop. A new transom mounted exhaust port was installed on the port side of the stern. I purchased the exhaust flange from the same manufacturer that provides them for the Island Packet factory. View of the Genie with the mount partially out in the service position. 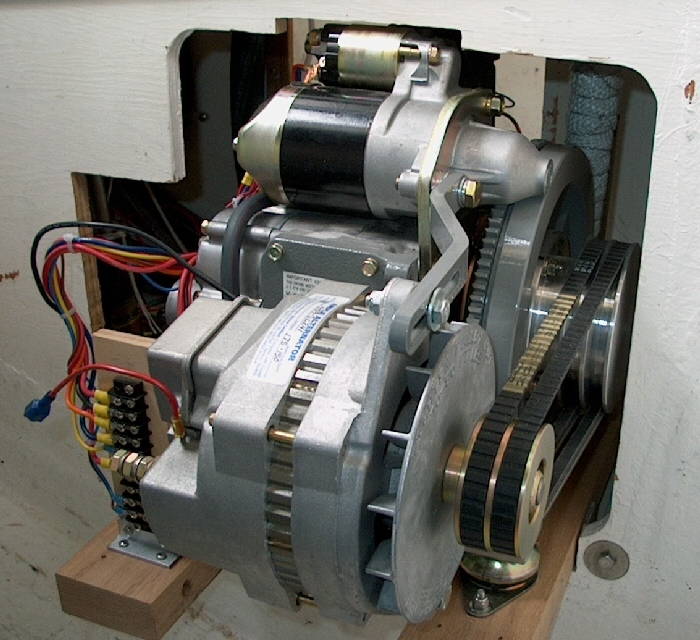 Large frame alternator is driven with two Dayco Topcog belts. 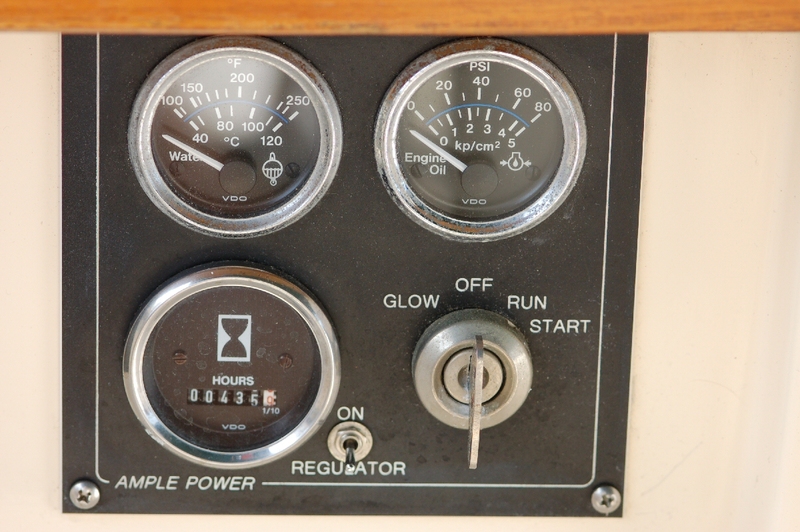 The instrument panel is mounted in the cockpit on the port side of the boat. Oil pressure and water temperature can be monitored and there are also safety interlocks that will shut the Genset down for low oil pressure or high engine temperature.